V.i.t.r.i.o.l. is the acronym of one of the most famous mottos of Renaissance alchemy: “Visita Interiora Terrae Rectificando Invenies Occultum Lapidem” (Enter the bowels of the Earth and, through your purification, you will find the hidden stone). It is a metaphor representing the path of man inside his own Ego in order to finally find the philosophical Truth. The double meaning of the term “vitriol” (corrosive chemical element and acronym of the renaissance motto) can describe well the essence of the band, constantly hanging in the balance between its aggressive component and its introspective/reflective one. Born In 2007, the band released two albums under the American label Melodic Revolution Records. Their full lenght “Into The Silence I Sink” was highly acclaimed as one of the best albums of 2012 by the international press. It’s a concept album revolving around the theme of Silence, metaphorically approached as “deep absence of communication”. 10 songs, conducive to an analysis of the different causes of this absence of communication: the anonymity of the urban environment, the historical contraposition of ideologies (Outward Silence, between person and person), differences between who we are and who we appear to be (Inner Silence, between the own appearance and essence). Concluding the album, the last song analyzes what must have been the most atrocious communicative Silence that has ever happened: a bewildered Christ asking “My God, my God, why did you abandon me”? The American radio show Prog Metal Show put the album at the 8th place in the “Top 50 progressive metal albums of the year”. The band promoted their work with two official videos, “The Frozen Wind” and “Slowly She Dies”. 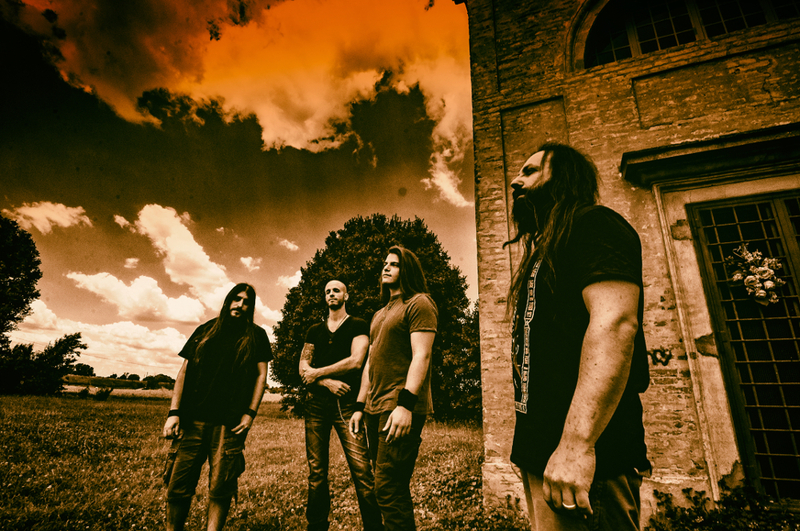 In 2013-2014 Vitriol toured Europe across Italy, UK, Poland, Austria and in 2015-2016 performed as opener of Pain of Salvation, Evergrey, Soen, Kingcrow, Votum. As for now, they’re currently working on their next album, welcoming Gabriele Gozzi as the new lead singer of the band and Michele Di Lauro as the new guitar player.